An Introduction to Baby Wearing & a GIVEAWAY! I'd done some research on baby wearing before my little one came along, and knew it was something I wanted to give a go. My hubby and I share a car, which means unless I'm willing to do the hour-round trip to take him to work at 6am, I'm car-less during the week. Of course, we have a gorgeous pram which really does have its place but nothing for me, beats carrying your baby on you. 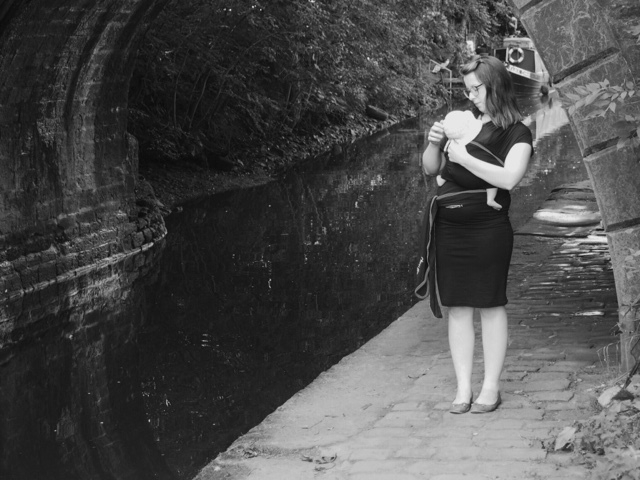 Being a new mum, the world of baby wearing is pretty daunting. Thankfully there are tonnes of sling libraries out there, where you can give different styles/types of slings and carriers a go and talk to the experts about the do's and don'ts. I found my local library really easily on Facebook! My biggest concern was safety for Violet, but with a bit of practice at home and few short trips to try out my sling, I soon got the hang of getting her in the prime position - close enough to kiss. For tiny babies, the general advice it to be carried on your front with the head supported, which is exactly where my Wuti Wrap* from We Made Me comes in. 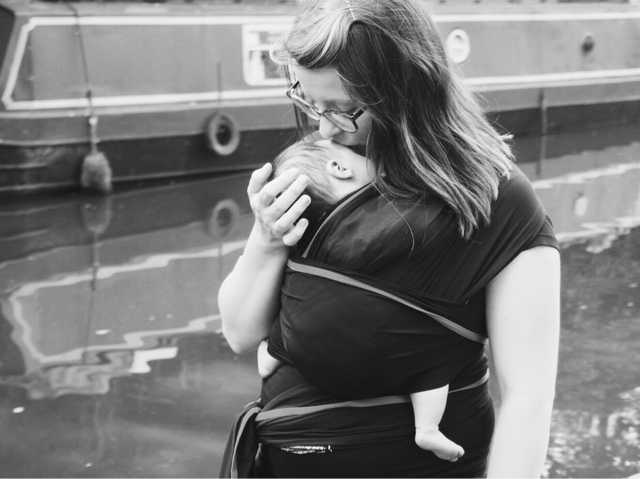 We Made Me have won tonnes of awards for their fab slings and carriers and I'm super excited to be sharing one with you. The brand was original influenced by an Indian tribe, which brought about the cool names for all of their products. The website explains the word "wuuti" means "woman leader" in Hopi, and so the Wuti Wrap was born. For anyone completely new to wrap slings, they're basically a long piece of material which can be wrapped around your body to produce a comfy seat for your little one. The Wuti Wrap is made from a stretchy, woven fabric which is designed to be super breathable and doesn't sag with the weight of the baby. I've tried a couple of wraps and this one is by far the most comfortable to wear. The material is a great support, but doesn't make you super sweaty like some of the jersey fabrics I've tried. 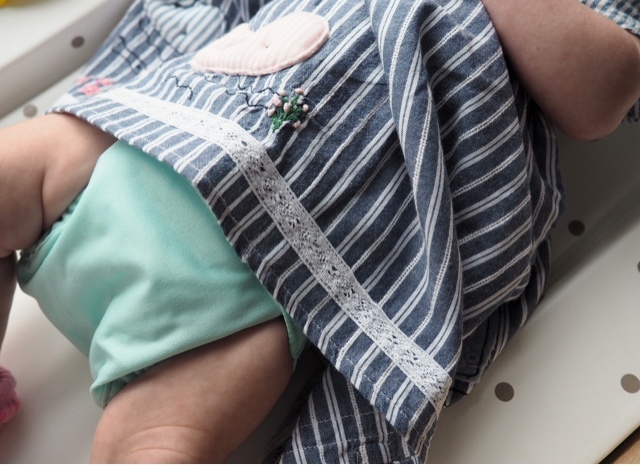 The wrap has a fool-proof piping around the edge to ensure the wrap is in correctly and is in the prime position for you and baby. And due to the style of this sling, can be easily adjusted throughout your babies life and has been tested for safety up to 35lbs. Plus the stretchy material means one size fits all, no adjustment required, just pop the wrap on your body and off you go. Using a sling makes my life so much easier. You don't realise how small shops are or how difficult it is to manoeuvre a pram around tiny spaces until you have to do it solo. And getting on and off public transport can be a nightmare. However, if V is strapped to me, I have no issues getting out and about. Plus she loves being cuddled in all day. If you're looking into trying baby wearing, I would absolutely recommend starting out with a wrap style sling. They can be used from birth and once you've mastered the wrapping and getting baby in/out, you'll never look back! One last, very exciting piece of news, is that I have one of the Wuti Wraps to giveaway! All you need to do is enter below. The giveaway is open to UK residents only, and will close on 8th October 2016. Good luck! Being a new mum is tough. It's even harder when you're left alone with your tiny baby, after your partner goes back to work. I knew there was no way I could spent weeks and weeks trapped in the house, so I've made a conscious effort to make sure we have something planned almost everyday. Before getting pregnant I had zero mummy friends in my local area. So I dragged my hubby to antenatal classes to ensure I had some friends to hang with on maternity leave. Thankfully we've made some lovely friends and baby dates are so much fun. I've been pushed out of my comfort zone and headed to a few baby groups within walking distance from my house. I turned up a little apprehensive and nervous but we've been welcomed into a group at the community centre and one in the local church hall. There are lots of baby sensory toys and other mums to chat too. Plus they're ran by volunteers, so cost no more than £1.50 and includes unlimited drinks and snacks (usually for the children, but we sneak a few in too!). We've also signed up to a baby massage course, which is going really well at the moment. I'm learning lots of techniques to help relax Violet as well as helping with reducing her reflux and any colic or constipation she may get. The sessions are so relaxed, if the babies aren't up for it we can just have a cuddle and learn the techniques to try at home. I've also managed to find a few monthly baby activities too! We headed to HOME in Manchester last week, to a parent and baby screen of Cafe Society. I went along with one of my Hypnobirthing friends and her little boy and it was just lovely. Our next activity to try is baby yoga, I'm not sure what to expect but the main thing is that I'm getting adult conversation and meeting other mums. I can't stress how important it is to get out there. It's scary taking a baby out for the first time but once you're out it's fine. And every other mum has been in your situation. I've found the more relaxed I am, the more relaxed Violet is. Plus if I've forgotten anything, I'm never too far from a shop to resolve the situation. Getting out there and meeting new people is brilliant and really important for your baby's development too. I'd recommend looking for local Facebook groups and checking out NCT website for groups near by. My health visitor provided me with a few groups too, and I've discovered more from talking to other people too. I've gone from being a nervous new mum to feeling confident and looking forward to our baby dates each week! Have you found any local baby groups? Come say hi to me on Twitter, I love making new mummy friends! Newborns are notoriously known for having sensitive skin. We decided before Violet arrived that we wanted to use natural skincare products to ensure she didn't have any skin issues. Taking after me it was inevitable that she would have super sensitive skin, so we didn't want to take any chances. Thankfully the lovely people at Child's Farm* came to the rescue and sent us some gorgeous baby-friendly products to try. First up we received a cute travel set, which will be perfect for our little holiday next month. The set includes a miniature body wash, moisturiser, nappy cream and bubble bath. These are the perfect size to trial with your baby, instead of picking up the full sized products. We have been trying out the nappy cream for a few weeks now and it does an incredible job at clearing up any redness. We also received a full sized baby moisturiser and baby wash, which we've been really enjoying using. The moisturiser is brilliant for using with the baby massage techniques I've been learning and it really helps to prevent Violet from getting any dry skin. All of the products are dermatologically tested and paediatrician approved as being safe to use on baby's delicate skin. 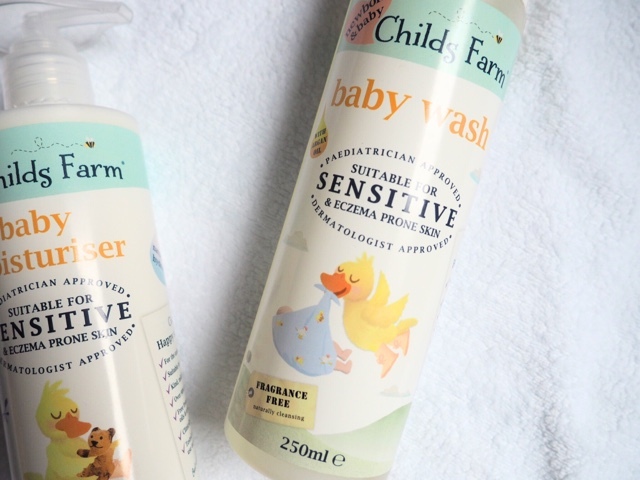 We were immediately drawn to the Child's Farm brand for their 'Happy Skin Promise' which states all products are free from parabens, SLSs, mineral oils and artificial colours. 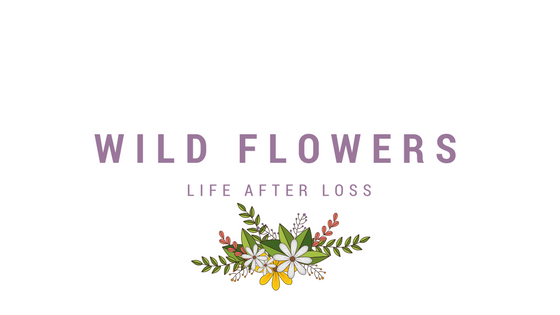 The ingredients are 98% natural and have been tested on babies to be suitable from birth. Child's Farm is certainly a brand we will continue to buy from in the future and I can't wait to try out a few more products from the brand. 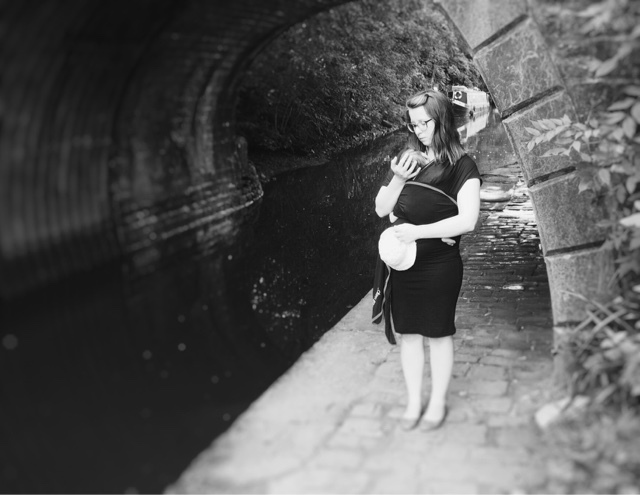 When I was pregnant using anything other than disposable nappies never crossed my mind. It wasn't until some other mamas I know suggested getting a trial pack of reusable nappies that I even considered an alternative. And now, a few weeks on, we're just moving to using reusables full time. My biggest worry about cloth nappies was whether or not they would leak. Especially as little Vi was so tiny at birth, I didn't think there was any way she would fit in anything but a size 0 disposable. That's where the Pop-In Newborn nappies from Close Parent* came in. The Pop-In start from a tiny 5lbs, which worked perfectly on Violet's little bum. The Pop-In comes in two parts, the wrap or outer layer and the soaker or inner layer. The wrap is waterproof and can be wiped clean (if not soiled) between uses, so all you have to change is the liner. 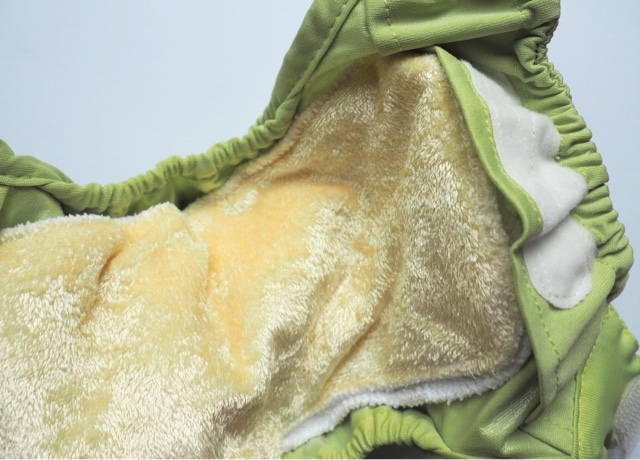 The liners come double sided and can be used either in the fleece side or furry side depending on what you and your baby prefer. 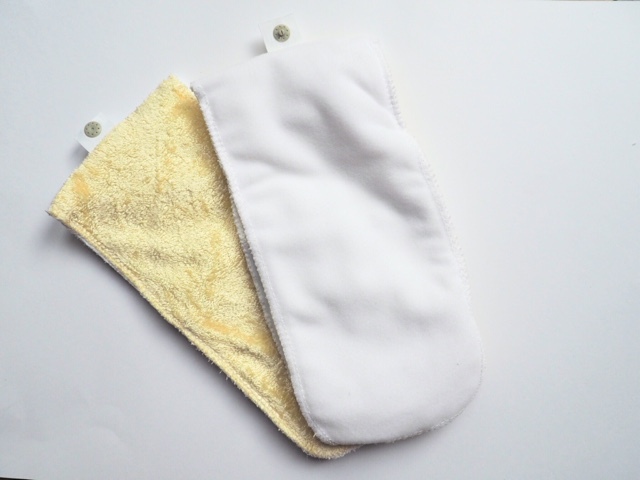 Both are super soft and delicate on your baby's skin and work really well at absorbing any moisture. 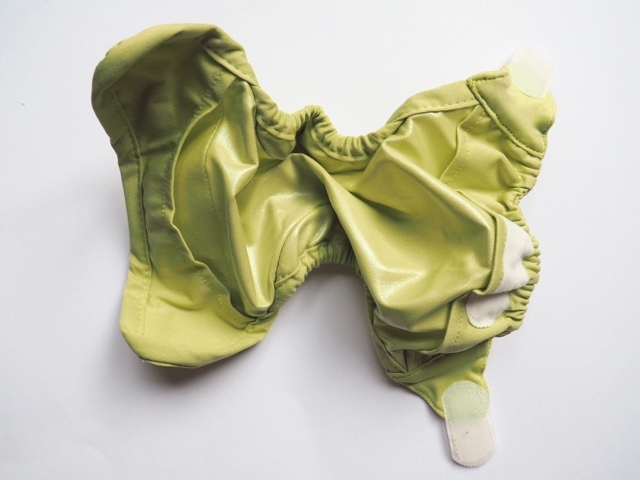 The nappy has double leg gusset giving it a closer fit to the legs and preventing any pesky leaks. 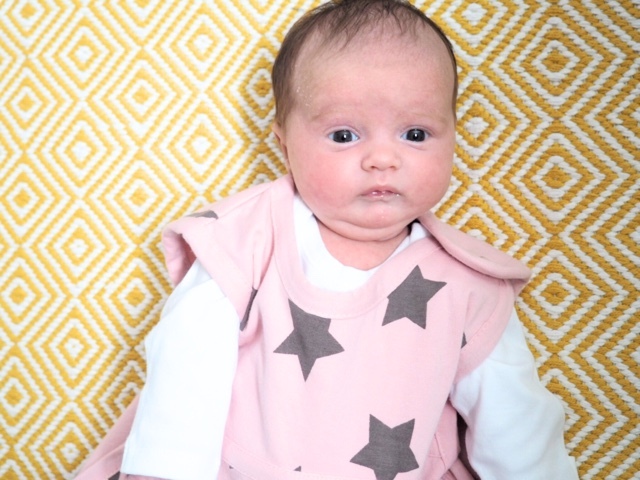 They have a handy Velcro fastening which can be easily made smaller or bigger as your baby grows. These are designed for up to 12lbs, so V will get a good amount of wear from these. The soaker is easily popped in and out of the wrap using a simple popper system. It's really quick to get the nappy set up and handy to take apart ready for the wash.
Alongside the soaker, I was kindly sent some of the liners to try. For those that have never used reusables, the liner is designed to sit in the nappy to catch any solids, making the soaker easier to clean. 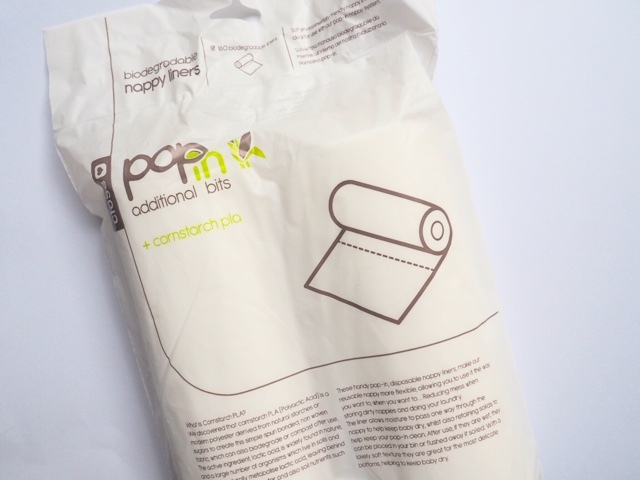 The liners are biodegradable and can be flushed down the loo! Violet is pretty predictable with her toilet habits so I tend to only use a liner if she's due to poop, otherwise I don't bother. You might not like the idea of putting a soiled nappy back in your bag, especially if you have a newborn poo explosion! That's where the handy Pop-In Stuff Sack comes in. 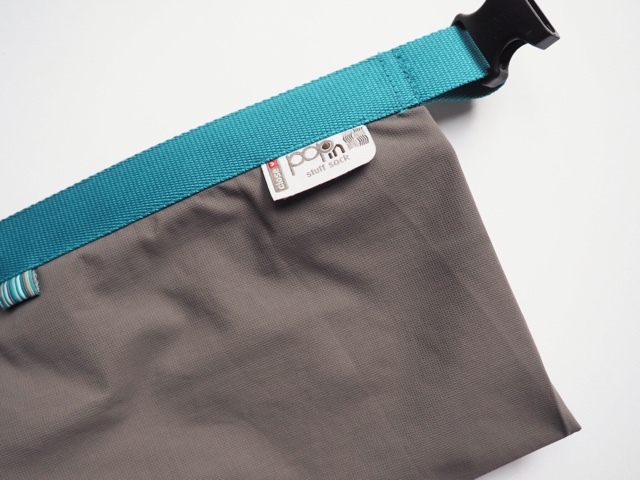 The bag is waterproof and fastens to to prevent any dirty nappies escaping in your changing bag. 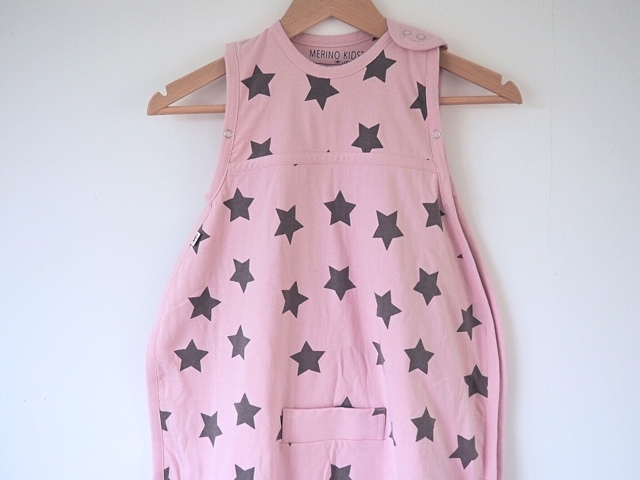 The sack is fab as its machine washable, so I just pop it in the wash with the dirty nappies. Starting out with cloth nappies can be really overwhelming. There are so many different types and styles, it's definitely trial and error to find your favourite. I will be sharing my thoughts on other brands/types in the future, but if your looking for a starting point for your newborn I would absolutely recommend giving these a go. Cloth nappies are not only better for the environment than disposables but can save you a huge amount of money in the long run. Plus they're super comfy and look really cute too! The Pop-In Newborn Nappy Box is available from Close Parent here. 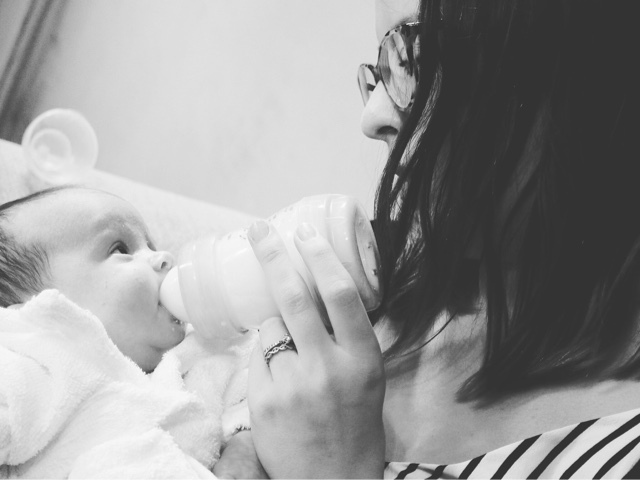 From the moment I knew I was pregnant, I knew I wanted to breastfeed. Nothing seemed more natural to me than being able to provide milk for my baby that I had produced. I'd spent hours reading and learning about how wonderful breastfeeding could be. I'd researched storing breast milk and how to express and even invested in two breast pumps to help me on my way. 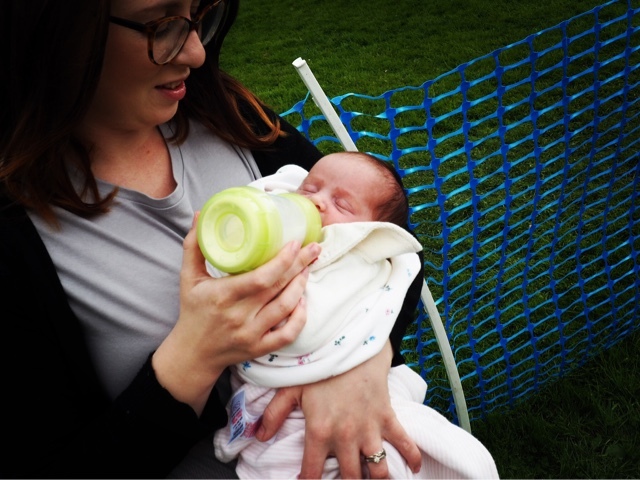 And then when the moment arrived for Violet's first feed, it never crossed my mind that I would be unable to breastfeed. I didn't own a steriliser and only had one measly bottle. Yet here I am, just short of 7 weeks post-partum bottle feeding my little girl. The odds were pretty much stacked against us from the moment Vi was born. Not only was she premature, but due to my c-section skin to skin didn't happen until almost an hour after birth. Then my poor girl was whisked off to NICU and taken away from us for a further half an hour. My tiny peanut tried so very hard to latch, but time and time again she struggled, got frustrated and gave up. So that was me set hand expressing cholstrum every three hours, hoping to get enough off to fill her little tummy. I sat up through the night with the most wonderful midwives who stayed with me and helped me express as much as possible. And my god it was exhausting and difficult but even if I managed to get a few mls off I was happy. Fast forward to day two, still stuck in the hospital and hand expressing as much as physically possible, Violet seemed quite content and was taking feeds really well. I was seen by there breastfeeding support team, who explained she might never latch but before every feed we'd try and give it a go, but with no luck I persevered with expressing. The second night with Violet I will never forget. My hubby had left after visiting time was up and I was alone with V again. My darling girl was inconsolable and I knew exactly why. Violet was hungry. And I just couldn't get enough milk off to fill her up. Pacing up and down the ward in the dark with my tiny baby, for what seemed like hours, I knew what I needed to do. The midwife sat and offered some formula and a bottle, not once judging me, and taught me how to bottle feed my baby. I will forever be thankful for the support I was given, I needed it the most. I continued to express as many feeds as possible and topped up with formula when needed. This continued until little V was 3 weeks old, my milk supply deminished and it became painful to express with so little milk coming out. So guess what? I stopped. I stopped putting pressure on myself to breastfeed despite being told by a few professionals that it probably wouldn't happen. 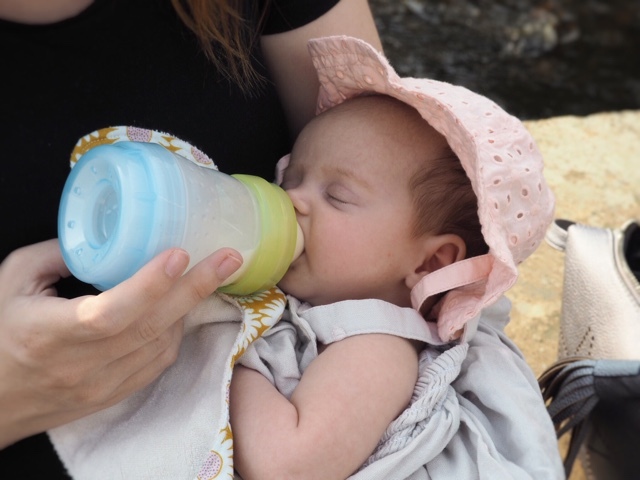 We went out and invested in some more bottles and a fancy prep machine and started the journey of exclusively formula feeding. And so here we are, several weeks on, I have a very happy, healthy baby who's doing extremely well. She's gone from a tiny 5.5lbs at birth to 8lbs at 6 weeks and the health visitor couldn't be more pleased. Yes, bottle feeding wasn't in my plan, be we are making it work for us. For anyone unsure of how they want to feed, I'd say do what works best for you and your baby. If you want to breastfeed, go for it and if you don't, then that's fine too. At the end of the day your baby needs feeding, no matter how it's done, fed is best. The Perfect Baby Sleep Solution + GIVEAWAY. My little girl is the queen of kicking off blankets. I can't tell you how many times I re-tuck her in at night and then as soon as she's awake the blankets are off and she's cold and grumpy. We invested in some sleeping bags before she was born but being so tiny when she arrived we've still not been able to use them yet. 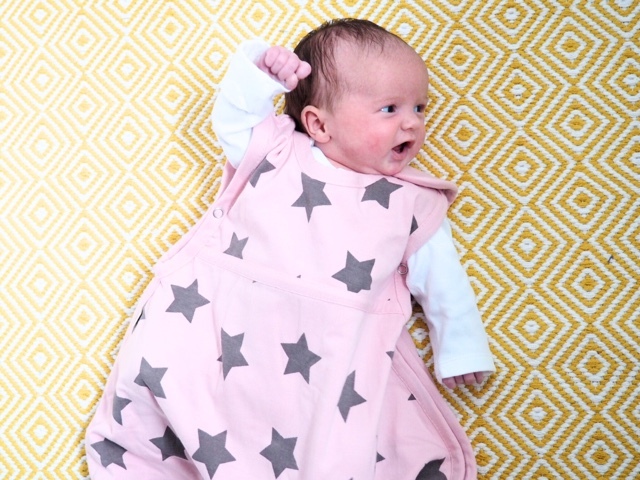 Recently the lovely people at Merino Kids* asked if we'd like to try out one of their baby sleeping bags. Of course, we jumped at the chance to give one a go. 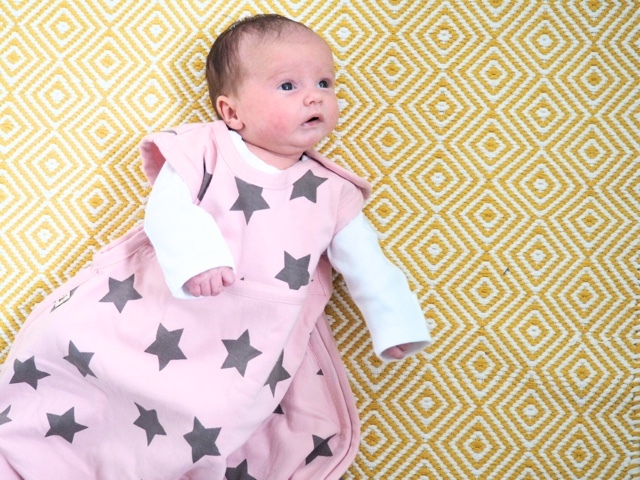 The sleeping bag we chose is the Starry Nights Baby Sleeping Bag, which is made from gorgeous soft organic cotton and merino wool. The sleeping bag is really lightweight and feels incredibly well made and most importantly is super cute! Using a sleeping bag means little V will be nice and warm all night, without me having to tuck her in constantly. Plus it's much safer than using loose blankets or a quilt as once baby is in the sleeping bag there is nothing loose in the cot. 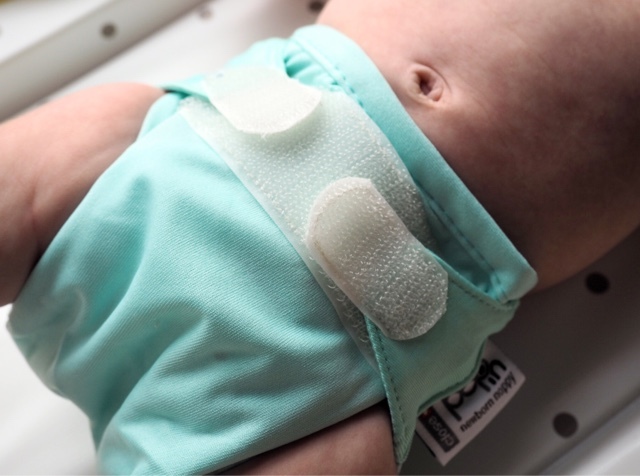 The bags also prevent babies getting too hot and over heating as they acclimatise to the perfect temperature for baby. 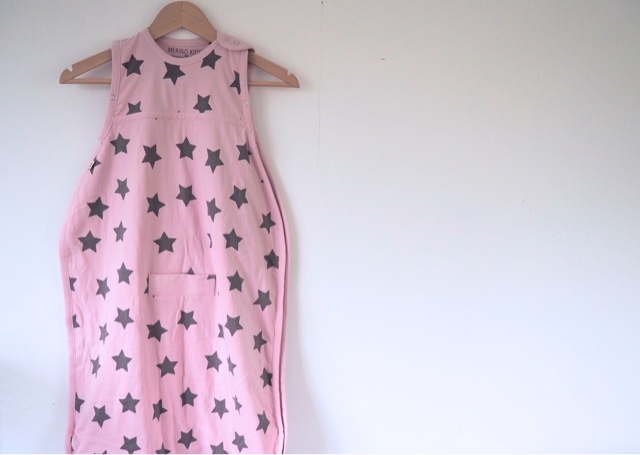 This size goes from 0-24 months and the size can be adjusted with the poppers at the arm holes. Use the popper fastened for small children then open for when babies get bigger. As you can see, Violet enjoys being in her sleeping bag and kicking her legs about as much as she wants without loosing the covers. I know the sleeping bags are something we will be using right the way up until Violet is big enough for a proper quilt. 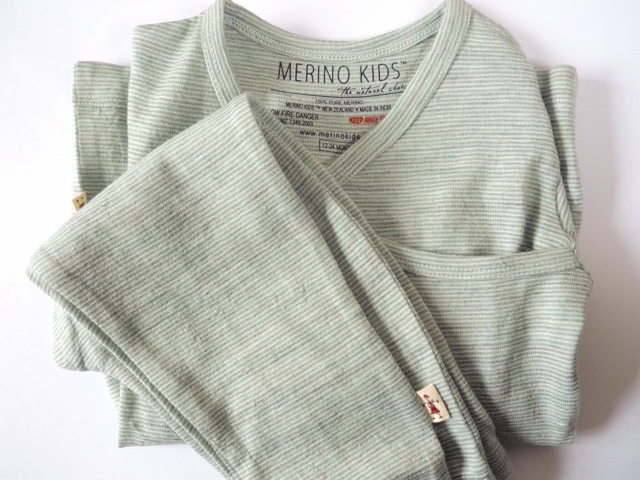 The lovely people at Merino Kids have kindly sent me a little something to give away to my readers. The giveaway prize is these gorgeous green Merino wool pjs. The material regulates the body temperature meaning everyone should get a good nights sleep! These are aged 12-24 months. To be in with a chance of winning, head over to my Twitter (@Golddust_Katie), follow and re-tweet the giveaway tweet here - Competition ends 10/9/16, UK only.